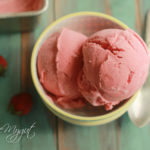 This easy No-Churn Strawberry Vegan Ice Cream is rich and creamy. Just blend all ingredients in the blender, pour into a loaf pan and let the magic happen. 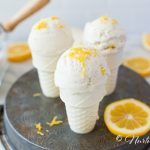 In a few hours, you have a creamy luscious ice cream that resembles a classic store bought version. 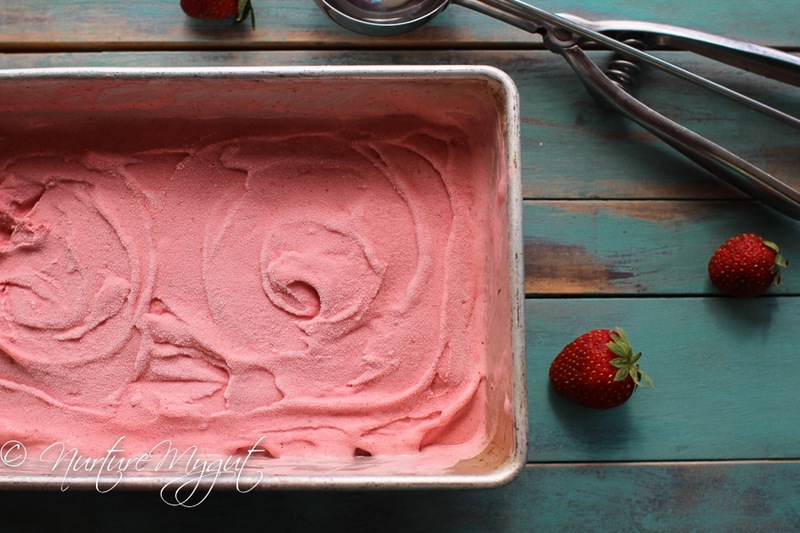 If you haven’t noticed, this is the first ice cream recipe on Nurture My Gut. Yup, it’s true! 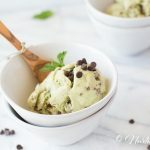 I have been working on vegan ice cream recipes for the last few years and unfortunately, all I get is something I am not proud to share. The flavors are amazing but the texture is icy. Tis the reason, no yummy ice cream recipes, until now! I have finally discovered the secret to creamy ice cream! Okay, it’s not really a secret! Just check out the ingredients in store bought vegan ice creams and you will find xanthan gum in the list. 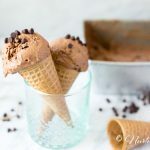 I was actually avoiding adding xanthan gum to my ice cream because I wanted to keep the ingredients clean and minimal, but with so many failures, I decided to give it a chance. I am so glad that I did! 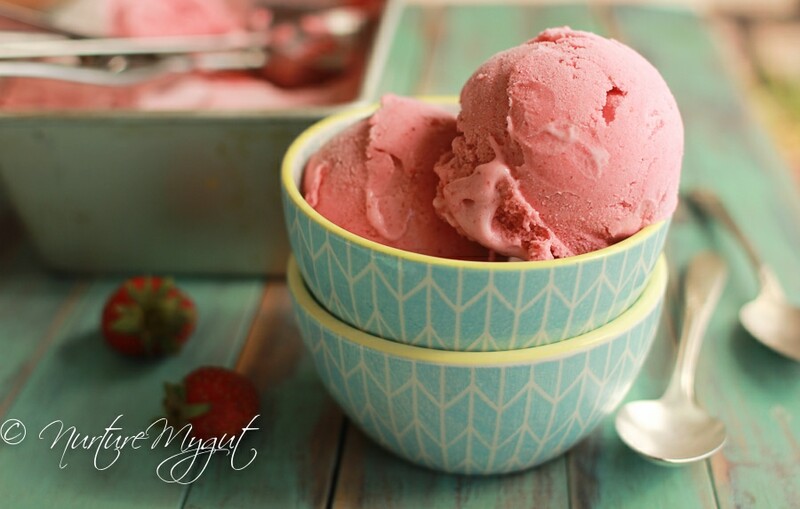 The texture is just like an ice cream full of dairy. Seriously, this is so creamy! 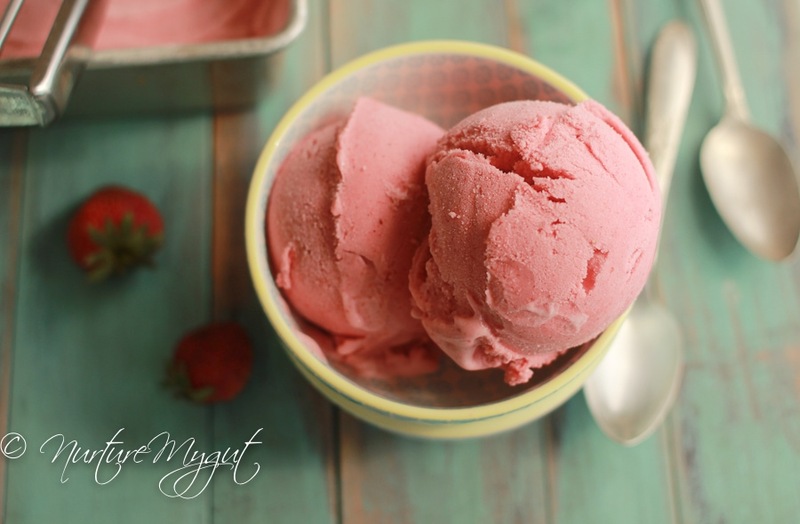 I am looking forward to making more No-Churn Vegan Ice Cream Recipes for you. 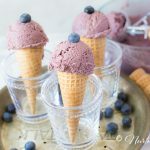 Adding xanthan gum (corn free version)is truly the secret to an extra creamy No-Churn Vegan Ice Cream. 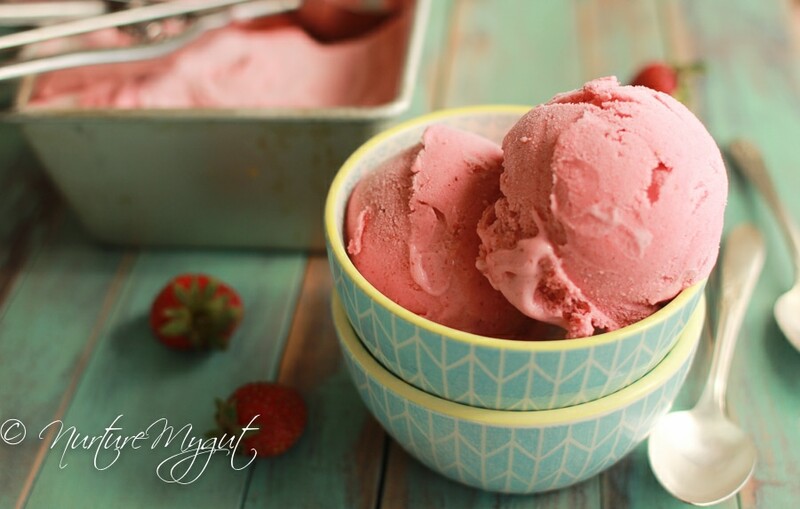 You do not even need an ice cream maker, just blend your ingredients, pour into a container and freeze for 5-6 hours. Let your ice cream thaw for a few minutes and then its ready to scoop into bowls or onto my gluten free waffle cones. 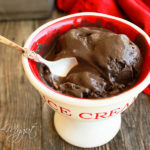 I will be working on a vegan chocolate ice cream. Any flavors you want to see on the blog? Please make your request in the comments below! Add to a loaf pan and cover with plastic wrap. Freeze for 4-5 hours for a soft serve ice cream and 5-6 hours for a “firm” ice cream or overnight. Allow to thaw for 5 minutes before serving. I have mine in the ice cream maker at the moment. Not sure if I like the almond flavoring though. It tasted really strong before I put it in the maker. I will probably omit it next time. Other than that I think it tastes really good. I partially watched your video about tortillas. I closed it after the 6th commercial halfway through. I hate waiting on the commercials. I guess Netflix and Hulu have spoiled me. The ice cream turned out really good except I still didn’t like the flavor of the almond flavoring. I will leave it out next time. Just a little too strong for my taste. I may try adding a small amount of strawberry flavoring. The ice cream had a nice consistency. I poured it into muffin tins and froze it for individual portions. Worked out great! I have had the same ice issues in my ice cream so I will try the xanthan gum. 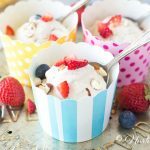 Have you tried this recipe in an ice cream machine?